Prominent & Leading Manufacturer from Pune, we offer energy laser engraving machine, laser engraving machine, is400 engraving machines, is200 engraving machines, engraving machine and jewel engraving machine. 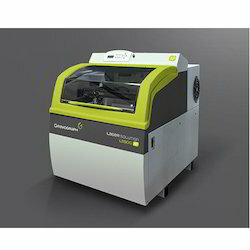 Energy Laser Engraving Machine is the most advanced lasers on the market available at an entry-level price. Ideal to engrave on plastic, wood, acrylic, anodized metals, leather, glass, paper, cardboard and more. Easily fit these lasers in any shop, office or workshop. With secure class 1 enclosures, the Energy series is safe for most any environment. The Gravograph Energy series operate on low running costs and allow immediate on-site work on tasks, no more outsourcing projects. The engraving parameters for the various materials are saved and advanced functions simplify specific engraving tasks. Energy series has been designed to cater for a diverse range of applications (flat and cylinder engraving, engraving on objects). Its numerous accessories and additional pieces of equipment allow you to configure the best possible solution for your working environment. 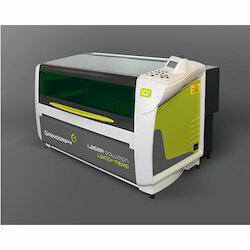 Laser Engraving Machine is an advanced, large format laser engraving and cutting machine built for an entry-level budget. Its low operating cost will allow you to create single projects or medium and large batch projects at a reduced hourly rate without mobilizing equipment with higher operating costs. The high-quality CO2 laser beam provides the needed fitness and strength. Front machine access door facilitates the loading and unloading of objects and the optionally integrated exhaust system reduces the bulk and footprint of the entire solution. 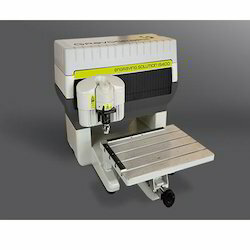 IS400 Engraving Machines is most commonly used for signage, labeling, and identification of industrial parts. It is perfect for Machine label, Front panels, Marking parts, Industrial signage, 3D engraving, Stainless steel engraving, Plastic and metal engraving. It comes with automatic surface sensors and the laser beam which make it simple to use and easy to position the engraver on the engravable object. In addition, its design gives you complete access to the engravable object which facilitates the placement, adjustment, and removal of items from the machine. 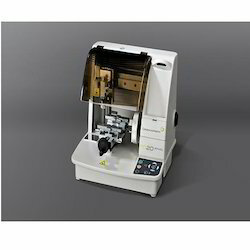 IS200 Engraving Machines is an adjustable machine for engraving small objects, sign plates, and technical labels. This machine benefits from a unique mechanical structure, providing a completely unrestricted working area, which makes it easy to attach oversized items to the machine for engraving. It has a complete range of spindles, clamping accessories and tools to suit the evolution of applications. It is ideal for the personalization of small items, badges, marking parts, small signs, plaques, engraving flat objects, and pens (with the pen attachment). The machine provides a clear surface work area for easy access, which will make your tasks easier than ever. Spindle motor with direct current. 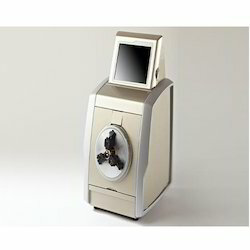 LCD display screen on the machine allows the user to have direct control over the process and the engraving parameters. Engraving Machine used in engraving for photos, plates, and pens, etc. It includes numerous tools. These different devices and accessories allow light diamond engraving, deep engraving on different types of materials and cutting of fine materials. Its compact design makes it an easy to install in a shop or small workshop. 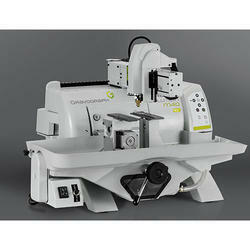 It is Controlled by a computer or tablet, this machine allows you to perform all types of engraving on small items. Optimized ergonomics integrating a large number of functions in a small space. Features such as the self-centering vice, the Point & Shoot device and the regulating nose allow you to quickly become familiar with the machine. 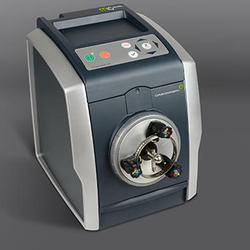 Jewel Engraving Machine makes diamond engraving affordable, practical and easy to use, for a truly professional finish. It is designed to be used in a shop, jewelry workshop, a kiosque or on an event stand. The machine occupies less space than an A4 sheet of paper, which allows it to be installed anywhere at all. Diamond engraving is very quiet and does not cause any chipping. With very little maintenance required, it is ideal for a boutique or small workshop. Developed in partnership with demanding jewelers, the M10 Jewel comes with all the accessories needed for ring engraving. Texts, symbols, and logos are very easily positioned on the engravable object. The composition is simulated on this interface before engraving begins, which avoids any errors. It is easy to install the tools and objects for engraving. The diamond tip is automatically adjusted on the Z axis to produce outstanding results almost instantly. Engraving speeds Up to 4 meters/sec. Ideal for demanding to engrave and cutting application in intensive production environments. Driven by servomotors and controlled by magnetic scales, the LS900XP laser reaches engraving speeds of up to 4 meters/sec. Its highly robust mechanical design guarantees performance reliability. The LS900XP includes many features designed to optimize set-up and make-ready times: a red aiming beam laser, automatic focal adjust (autofocus), a cycle time indicator and an end of job alarm. Quality and productivity. 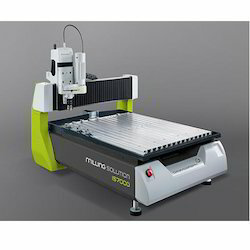 A range of laser sources up to 80W for fine engraving and cutting organic materials. Lateral pass-through mode: doors on both sides of the chassis open to accommodate oversized workpieces, larger than those normally taken on the LS900XP. Access to this work mode must be done in a Class 4 environment. This very robust design (mechanically welded frame, pre-determined linear guideways, etc) means the LS900 is highly reliable. The double fume and dust extraction system and adjustable aid assist function optimize the quality of engraving, cutting and friendly for the work environment. Designed to optimize productivity, the LS900 incorporates a number of functions that reduce set-up and make-ready times: a red aiming beam laser, automatic focal adjust (autofocus), a cycle time indicator and an end of job alarm. The machine is designed to maximise convenience front opening makes for convenient access and means that workpieces can be loaded from the front and adjusted effortlessly. Gift Engraving Machine is the ideal machine for engraving business gifts, souvenirs, wedding presents or gifts for a new-born. It is designed with an integrated lubrication system for easy glass engraving. In addition to engraving personalized or gift items, it has become the benchmark for the bottle, glass, and jug engraving due to its cylindrical attachment and integrated lubrification system. This is down to its unique attachment system designed to engrave all types of objects, (flat, bulky, cylindrical and cone-shaped items) and optimized communication with its engraving software (Point & Shoot, pre-engraving simulation, etc.) Just add a continuous lubrification system for perfect glass engraving. Their DC motors on the X, Y and Z axes and ball bearings with pre-stressed led screws, ensure a high level of quality. The 200W direct current spindle motor is quiet and powerful. The IS6000 XP, IS7000 XP, and IS8000 XP come with a collect spindle and system of presetting for cutters. The LS1000XP standard configuration includes a multitude of innovative Gravograph functions aiming to reduce production times. In particular, the front-loading concept for total accessibility, integrated cutting table with removable slats and material recovery tray, modular engraving table, double pass through, doors on the sides and front of the chassis to accommodate oversized projects. Its generous dimensions allow you to load a standard 48" x 24" sheet all at once. Size up to 610 x 1220 mm. Developed by Gravograph, the IS6000, IS7000 and IS8000 are designed to meet the needs of engraving professionals and manufacturers. 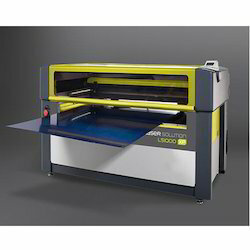 They are designed for engraving, cutting and machining up to 610 x 1220 mm. marking over sized mechanical parts, brass and steel mould making, etc. 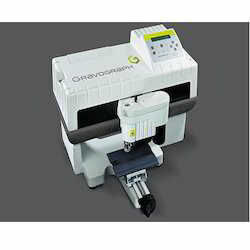 With the benefit of the full know-how of the group, these machines conform to Gravograph's high manufacturing standards. Now it's easier than ever to engrave the inside of your wedding bands, rings and bracelets! No need for a computer or power supply, this machine can be used anywhere. Diamond engraving perfectly reproduces the effect of traditional engraving by hand. The different character sets available offer the end client a huge range of choice. The template letters are engraved onto a brass disk and can be very quickly changed. Thanks to the auto-centring mandril, wedding bands and rings are extremely easily to position and are instantly ready for engraving. The ring is rotated automatically. The spacing between each engraved character is precise. Developed in partnership with demanding and well-renowned jewelers, this compact ring, and bracelet engraving machine can be easily installed and used in-store or a more restricted environment. Developed by a designer specializing in point of sales design, these lines are attractive-looking and modern. Don't hide your machine in your backroom any longer! Set RingCube in your shop front and spark up customer's curiosity! The RingCube is a very compact machine. Its drawer has compartments for accessories, meaning your countertop is left free of clutter. The RingCube allows you to engrave rings and bracelets on site in just a few minutes. Your customers will no longer need to wait on their order to be engraved by an outsourcer: you just do it yourself and they will choose the character font and the symbols that they wish to have engraved on their message. Visiting customers will be able to engrave their dearly beloved jewelry without being under any time pressure. With its integrated touch-screen keypad, no PC is required to control the machine. Thanks to its intuitive interface, you just connect the RingCube and you can start engraving instantly. The integrated software is very easy to use; no training is required to work it. The set of versatile jaws adapts to all types of rings and bracelet. No tools required. The outcome of RingCube engraving is very attractive. Its diamond tip provides long-lasting engraving on gold, plated gold, silver, steel, aluminum, etc. Looking for Engraving Machines ?